Died unmarried. Emma Jane Holcombe was born on 13 November 1851 at Utica, Oneida Co., NY. She was the daughter of Orry Howard Holcombe and Elizabeth Ann Long. Charles Andrew Holcombe was born on 23 July 1853 at Poestenkill, Rensselaer Co., NY.1 He was the son of Orry Howard Holcombe and Elizabeth Ann Long. Charles and Mary were enumerated in the 1900 Troy, Rensselaer Co., NY, federal census. He was a Coller Pressser. Children in the household were Florence 15, and Ella 9. Mother Elizabeth, 89 was also in the household. Elizabeth had 9 children but only 2 were still living. There is a George Holcombe enumerated on the same page; perhaps the other child. [S620] Sr. William J. Dunwoody, "Orry Howard Holcombe." George Jesse Holcombe was born on 1 March 1855 at Poestenkill, Rensselaer Co., NY.1 He was the son of Orry Howard Holcombe and Elizabeth Ann Long. Ella Frances Holcombe was born on 21 July 1857 at Poestenkill, Rensselaer Co., NY.1 She was the daughter of Orry Howard Holcombe and Elizabeth Ann Long. Louis Long Holcombe died young. He was born on 26 February 1863 at Poestenkill, Rensselaer Co., NY. He was the son of Orry Howard Holcombe and Elizabeth Ann Long. William Carroll Roberts II was born in 1881. He was the son of William Carroll Roberts and Ella Frances Holcombe. Josephine Matilda Roberts was born in 1883. She was the daughter of William Carroll Roberts and Ella Frances Holcombe. 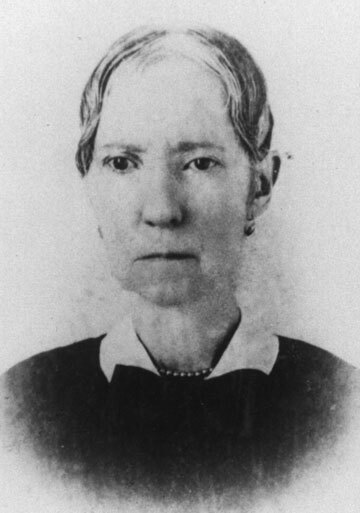 Sarah Elizabeth Ives was born on 9 February 1839 at Poestenkill, Rensselaer Co., NY. She was the daughter of Jacob Ives and Rebecca Morrison. Sarah Elizabeth Ives married Andrew Jackson Holcombe, son of Samuel Holcombe II and Verona Howard, on 7 January 1856 at Poestenkill, Rensselaer Co., NY. Alson is recorded in the 1850 Granby census, as a farmer, owning real estate, $7,900 and had besides his wife and children, his mother, Rachel, and Chauncey Holcomb, born in Ct., 1830-31 living in his home. Candace was his 1st cousin. Wellington is 5, Shaler is 2. Alson and Almina were enumerated in the 1860 Granby, Hartford Co., CT, census with mother Rachel, and children Jameson, Alvaretta, Benton, Irene, Irving, and an un-named female, age 2. Alson and Almina C. were enumerated in the 1870 Granby, Hartford Co., CT, census with children Alvaretta, Benton, Irene, Irving, Francis, and Frank. Alson and Candace were enumerated in the 1880 Granby, Hartford Co., CT, census with children Alvaretta, Benton, Irene, Irving, Fannie, and Frank. Mother-in-law Candace(Hoskins) Holcomb was also recorded. Almina C. was also recorded in the 1900 Granby census, page 7A, line 29. Irving and Frances were in the household. [S25] Hannah McPherson, Holcombe Genealogy, Page 191.1/Item A-8-1-10-10-2-7. Candace was listed in the 1900 Granby census, page 7A, line 29, widowed. Son Irving and daughter Francis E. were livng with her. She is called Almina on her gravestone, and Almina C. in the 1900 census. [S25] Hannah McPherson, Holcombe Genealogy, Page 192.1/Item A-8-1-10-10-6-1. Benton is listed in the 1900 Granby Census, page 7A, line 36, age 48, as a farm laborer; Lillian was listed as 30. Benton and Lillian were again enumerated in Granby in the 1920 federal census, page 4A, line 19; he was a farmer, age 68, she was 59. They were enumerated in the 1930 federal census of West Granby Village, Granby Town, Hartford Co., page 13B, living next door to Irving; Benton was a farmer, age 78, Lillian was 60. Benton Holcomb, Granby naturalist and collector of Indian relics, who with his brother, Irving, for years carried on a unique business supplying wild flowers, shrubs, ferns and trees to landscape gardeners and florists, died at his home in West Granby today (March 18) at the age of 80. He had been in poor health for several months. Mr. Holcomb alway shad lived in Granby and since a young man had been interested in nature. Beginning his collection with specimens of sea shells, he later turned to indian lore and had amassed a wide variety of Connecticut relics and pieces from other states. The indian collection last fall was cataloged and has been loaned to the Eno Memorial soon to be opened in Simsbury. Irving Holcomb, now 76, lives on an adjoining farm and as young men the brothers devoted most of their energies to agriculture. The wild flower business developed gradually at first and came in later years to be their principal occupation. Some of the plants they cultivated on their own land. Many they secured from theproperty of neighbors who granted them the privilege of taking what they wished. Both came to be authorities on the wild plant life of Connecticut. In the last few years they had largely retired from the work. For several terms Benton Holcomb served the town of Granby as selectman. He had also been a member of the School Board and a director of the Cossett Library in North Granby. Besides his brother Irving, Mr. Holcomb leaves his wife, one son Ernest L., and two grandsons, Proctor B. and Gardner P. Holcomb of Farmington, a sister, Miss Fannie H. Holcomb in Granby and another brother, Fred L. Holcomb of Hartford. The funeral will be at the home Sunday at 2 p. m. Rev. Harold I. Zook, pastor of the West Granby Methodist Church, will officiate, Burial will be in Granby Center Cemetery. [S25] Hannah McPherson, Holcombe Genealogy, Page 191.1/Item A-8-1-10-10-2-7-6. Ernest Leland Holcombe was born on 2 October 1887 at Granby, Hartford Co., CT.2,3,4 He was the son of Benton Holcombe and Lillian Almeda Holcombe. Ernest Leland Holcombe married Lena Etta Holcombe, daughter of Walter Charles Holcombe and Ann Jannette Griffin, on 1 January 1911 at Simsbury, Hartford Co., CT. Ernest Leland Holcombe died on 4 June 1955 at West Granby, Granby, Hartford Co., CT, at age 67.2 He was buried on 7 June 1955 at Center Cemetery, Granby, Hartford Co., CT.
Ernest was employed at the Royal Typewriter Company for thirty-six years and was president of the Royal Foremen's Club. Ernest and Lena were enumerated in the 1920 West Hartford, Harford Co., CT, federal census, ED 194, page 19B. Children in the household were Proctor B. and Gardner P.
Ernest and Lena were enumerated in the 1930 Farmington, Hartford Co., CT, federal census, district 138. He was an efficiency expert for a typewriter company, age 42, she was 38. Children in the household were Proctor 17, and Gardner 16. Ernest and Lena were enumerated in the 1940 Granby census. He was 51, she was 49. The only child in the household was Gardner, 25. Ernest registered for the WWII draft while living in Granby, Hartford Co., CT. He worked for the Royal Typewriter Company in Hartford and listed Lena as his closest relative. [S25] Hannah McPherson, Holcombe Genealogy, Page 191.1/item A-8-1-10-10-2-7-6-1. Lena Etta Holcombe was born on 13 March 1893 at New Britain, Hartford Co., CT.2,3 She was the daughter of Walter Charles Holcombe and Ann Jannette Griffin. Lena Etta Holcombe married Ernest Leland Holcombe, son of Benton Holcombe and Lillian Almeda Holcombe, on 1 January 1911 at Simsbury, Hartford Co., CT. Lena Etta Holcombe died on 12 July 1951 at Granby, Hartford Co., CT, at age 58.2 She was buried on 14 July 1951 at Center Cemetery, Granby, Hartford Co., CT.
Lena was a member of Jesus Christ Church of Latter Day Saints in Hartford. She died at home after a long illness. [S25] Hannah McPherson, Holcombe Genealogy, Page 48.1/Item A-4-5-2-2-9-1-4-2-4. [S25] Hannah McPherson, Holcombe Genealogy, Page 191.1/Item A-8-1-10-10-2-7-6-1-2. [S182] Social Security Death Index (on-line), Ancestry.com, SSDI, Ancestry.com, SSAN 047-10-0582. Margaret Dora Case was born on 25 September 1917 at Hartford Hospital, Hartford, Hartford Co., CT. She was the daughter of Raymond Erving Case and Emma Griswold Griffin. Margaret Dora Case married Gardner Preston Holcombe, son of Ernest Leland Holcombe and Lena Etta Holcombe, on 12 September 1942 at West Granby, Granby, Hartford Co., CT. Margaret Dora Case died on 22 September 2003 at North Hero, Grand Isle Co., VT, at age 85. She was buried at Center Cemetery, Granby, Hartford Co., CT.
Margaret Dora Case Holcomb, 85, a resident of this community for nearly twenty years died unexpectedly Monday morning, September 22, 2003, in her Lakeview Drive residence. She was born September 25, 1917, the daughter of the late Raymond E. and Emma G. (Griffin) Case of West Granby, Connecticut. Margaret married to Gardner Preston Holcomb on September 12, 1942, who predeceased her on October 2, 1990. Margaret and Gardner lived in Simsbury, Connecticut where Margaret taught in the elementary school system for over thirty years. Happy summer vacations were always spent on North Hero where, in 1973, they purchased a home for their retirement. After moving to North Hero, Margaret never lost her love of children and of teaching. She served as a volunteer at the North Hero Elementary School, for which she received a special award in March 2003 at Town Meeting for her many years of service and strong support of the educational system. Margaret loved to read and was a volunteer for the North Hero Public Library. Previously, Margaret participated in the Wonderful Wednesday Children's Bible School of the North Hero United Methodist Church. She was a devoted member of the church and a member of the United Methodist Women. Margaret was always very active in the community, also previously serving as a board member for Champlain Islanders Developing Essential Resources (CIDER). She leaves two daughters, Betsy Cook of Simsbury, Connecticut and Donna Larose of Alburg, Vermont and one sister, Gertrude Slaughter of Norwalk, Connecticut. Also surviving are three granddaughters, Bonnie (Higley) and Matt Bynum of Pennsylvania, Becca Plote of Vermont, and Alison Cook of Connecticut and a grandson, Joseph Larose of Vermont; three great grandchildren, Deena, Amanda and Nicolas, all of Pennsylvania and countless friends and neighbors. Margaret was dearly loved and will be missed by all who knew her. Funeral Services will be held at 10:30 a.m. on Saturday, October 4, 2003 at the North Hero United Methodist Church. The Reverend David Adams will officiate. Interment will take place at a later date in the Granby Center Cemetery in Granby, Connecticut. There will be no public calling hours. In lieu of flowers, gifts in Margaret's memory may be made to, CIDER, PO Box 13, South Hero, Vermont 05486, or to a charitable organization of your choice. Arrangements have been under the direction of the Kidder Memorial Home, Swanton, Vermont. [S25] Hannah McPherson, Holcombe Genealogy, Page 191.1/Item A-8-1-10-10-2-7-6-1-1. [S284] Courant, March 14, 2002. Aaron and Helen M. were enumerated in the 1870 East Granby, Hartford Co., CT federal census. He was a farmer age 45, she was 31. Children in the household, listed in this order, were Eva 13, Walter C. 11, Mary A. 7, Lena(?) A. 4, Norris W. 8, Nettie 2, and Florence, 9/12. Aaron and Helen M. were enumerated in the 1880 East Granby, Hartford Co., CT federal census (NA film T9-0099, page 432A). He was a farmer 65, she was 42. Children in the household were Eva 22, Walter 21, Mary 17, Fred 15, Hattie 6, and Jennie 4. Aaron and Helen M. were enumerated in the 1900 East Granby, Hartford Co., CT. federal census. He was a farmer, age 73, she was 62. The only child in the household was Fredeick 34. The Hartford Daily Courant, Nov 30, 1878, notes that: Three families in Granby have suffered terribly from diphtheria.. . . Aaron Holcombe has lost 4 children. [S25] Hannah McPherson, Holcombe Genealogy, Page 48.1/Item A-4-5-2-2-9-1-4. [S161] Carol A. Laun, Granby Center Cemetery, Page 79. [S25] Hannah McPherson, Holcombe Genealogy, Page 48.1, Item A-4-5-2-2-9-1-4. Mrs. Helen Cadwell Holcombe, widow of Aaron Holcombe, died at the home of her son, Fred A., Holcombe, of Union district, yesterday afternoon, after a brief illness of pneumonia. She was 78 years old, and a native of Ohio. She lived in East Granby until 1902, when she came to Simsbury to live with her son. She leaves four of ten children. 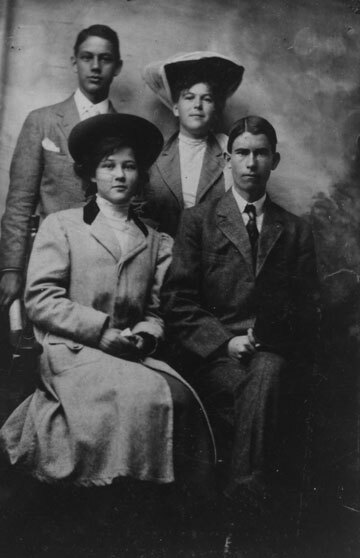 They are: Fred A. and Hattie I. Holcombe of Simsbury, Mrs. W. W. Edgerton of West Granby, and Walter C. Holcombe of West Suffield. The funeral will be held at the home of her son here at 1 o’clock Saturday afternoon. The burial will be in the Granby Cemetery. [S807] Find A Grave, online http://www.findagrave.com, memorial ID # 66029995. Information from Donna Holcomb Larose (carmi@together.net). Charles' middle name in some sources is "Cadwell" but through her cousin Bruce Holcombe of West Canton, who has a family bible, verifies that his middle name is "Charles". Walter appears in the 1900 census of Granby, CT, page 10A, line 1, as a farmer, married 17 years with four children living at home (Ina is not listed). In the census his birth is listed as April 1859. [S25] Hannah McPherson, Holcombe Genealogy, Page 48.1/Item A-4-5-2-2-9-1-4-2. [S25] Hannah McPherson, Holcombe Genealogy, Page 45.1/Item A-4-5-2-2-1-1-4-1-8. [S161] Carol A. Laun, Granby Center Cemetery, Page 20. Walter Charles Holcombe Jr. was born on 24 April 1891 at New Britain, Hartford Co., CT. He was the son of Walter Charles Holcombe and Ann Jannette Griffin. Walter Charles Holcombe Jr. married Minerva Patterson in 1910. Walter Charles Holcombe Jr. lived on 12 July 1951 at Saybrook, Middlesex Co., CT. He died on 5 January 1980 at New London, CT, at age 88. Death information from the Connecticut Death Index, 1971-1987, Orem Ut: Ancestry Incorporated. [S25] Hannah McPherson, Holcombe Genealogy, Page 48.1/Item A-4-5-2-2-9-1-4-2-3. [S869] Jean E. Perreault, Bloomfield 1930 Census, page 25. Sarah Holcombe was born on 4 June 1775 at Granby, Hartford Co., CT.2 She was the daughter of Joshua P. Holcombe and Sarah Smith. Sarah Holcombe married Levi Griffin, son of Benoni Griffin and Mary DeLacy. [S25] Hannah McPherson, Holcombe Genealogy, Page 45.1/Item A-4-5-2-2-1-1. Levi Griffin was born on 17 February 1771. He was the son of Benoni Griffin and Mary DeLacy. Levi Griffin married Sarah Holcombe, daughter of Joshua P. Holcombe and Sarah Smith. 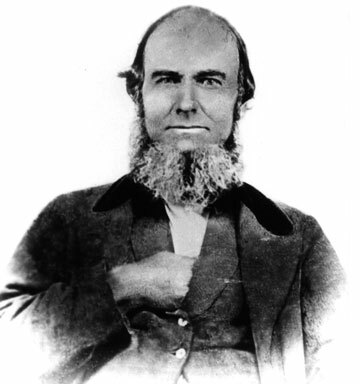 Lyman Griffin was born on 22 January 1800 at Granby, Hartford Co., CT. He was the son of Levi Griffin and Sarah Holcombe. Lyman Griffin married Harriet Davis in 1830 at Granby, Hartford Co., CT.
Lyman and Harriet were enumerated in the 1860 Granby, Hartford Co., CT, census with Catherine and a 60-something-year-old Holcombe female. [S25] Hannah McPherson, Holcombe Genealogy, Page 45.1/item A-4-5-2-2-1-1-4. Harriet Davis married Lyman Griffin, son of Levi Griffin and Sarah Holcombe, in 1830 at Granby, Hartford Co., CT.
Chauncey Griffin was also known as Lyman Chauncey Griffin Jr. He married Myra Davis. Chauncey Griffin was born on 26 February 1831 at CT. He was the son of Lyman Griffin and Harriet Davis. Chauncey Griffin died in 1916 or 1917. [S25] Hannah McPherson, Holcombe Genealogy, Page 45.1/Item A-4-5-2-2-1-1-4-1. Myra Davis married Chauncey Griffin, son of Lyman Griffin and Harriet Davis. [S869] Jean E. Perreault, Bloomfield 1930 Census, page 229. [S25] Hannah McPherson, Holcombe Genealogy, Page 48.1/Item A-4-5-2-2-9-1-4-2-2. [S182] Social Security Death Index (on-line), Ancestry.com, SSDI, Ancestry.com, SSAN 048-36-8600. Additional information from Donna Jean Holcomb Larose. [S25] Hannah McPherson, Holcombe Genealogy, Page 49.1/A-4-5-2-2-9-8. [S104] DAR DAR Lineage book, Vol. 148:Pg. 276/Item 147874. Oren built the Oren Godard house in Godard Road. He was a shoemaker, tanner and lumber dealer. [S713] Rhonda R. McClure, Thomas Brigham, page 79. [S713] Rhonda R. McClure, Thomas Brigham, page 53. [S713] Rhonda R. McClure, Thomas Brigham, page 56. [S95] Gary Boyd Roberts, Presidents 1995 Edition, Page 127. [S713] Rhonda R. McClure, Thomas Brigham, page 40.